After World War II, a number of buildings on the Georgia Tech campus were designed by a team of in-school architects in the International Style, that broke with historical precedent and took advantage of modern building materials and technology. 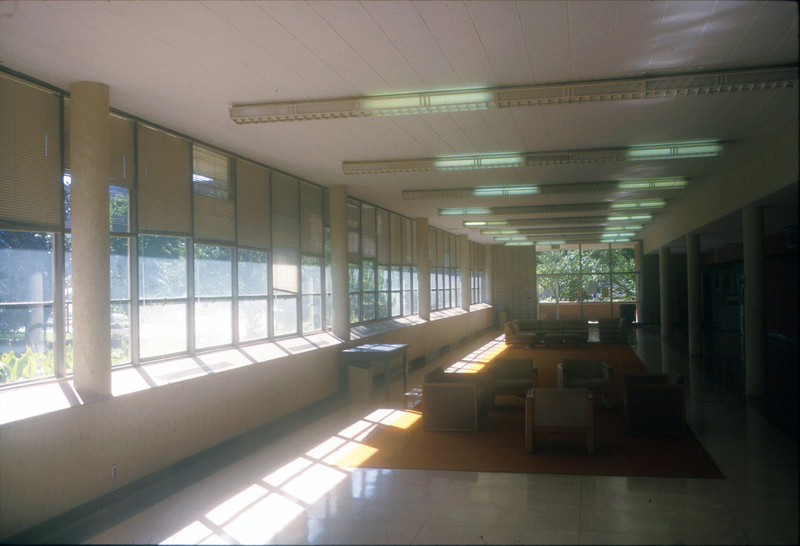 Paul Heffernan, director of the School of Architecture, only Atlanta winner of the prestigious Paris Prize and a partner in the firm of Bush-Brown, Gailey & Heffernan, designed the low-framed concrete Hightower Textile Engineering Building in 1949. Georgia Tech’s campus plan called for the redevelopment of the Student Center area and the removal of the Hightower Textile Building for green space and the Hinman Research Building, also designed by Heffernan in 1939. Similar Atlanta buildings in this style have already been demolished and those that are left should be considered before they all disappear as part of the redevelopment of Midtown Atlanta.